A stylish beast of burden. Style, we all want it….don’t we? but at what cost? The thing about developing your own style is it takes time and effort…and a total disregard for excuses. An idea that you feed with whatever it needs and 99% of the feedback is negative…or a positive negative. The time and effort spent on the various ways of how not to do it is far from wasted. More failures than success, but once you hit that sweet spot you make it look so effortless and flowing….but then comes the crux as the audience offers praise and, undoubtedly critique, your mindset has changed….more, more, more. I have no idea how many times Blower1 failed to succeed in his style, but style he has. 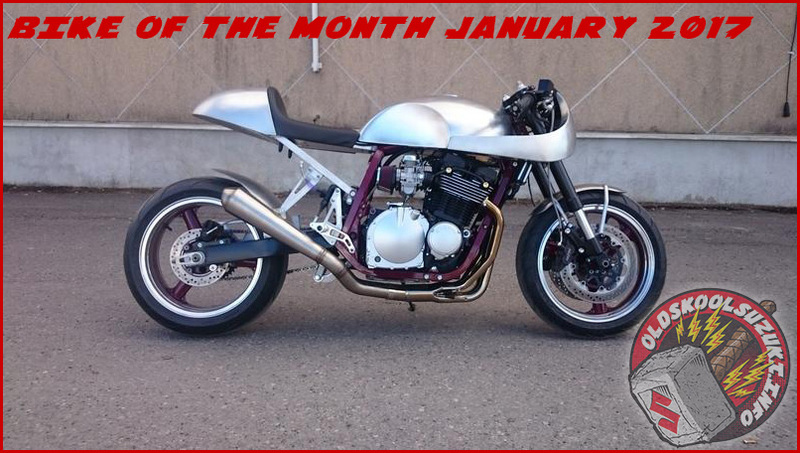 Congratulations on bike of the month. It’s not important what you think but how you think, the mind is a beast….feed it in anyway you can.